Some sources are saying that the new iPad Mini will resemble a larger iPod Touch, while some sources are saying the total opposite. 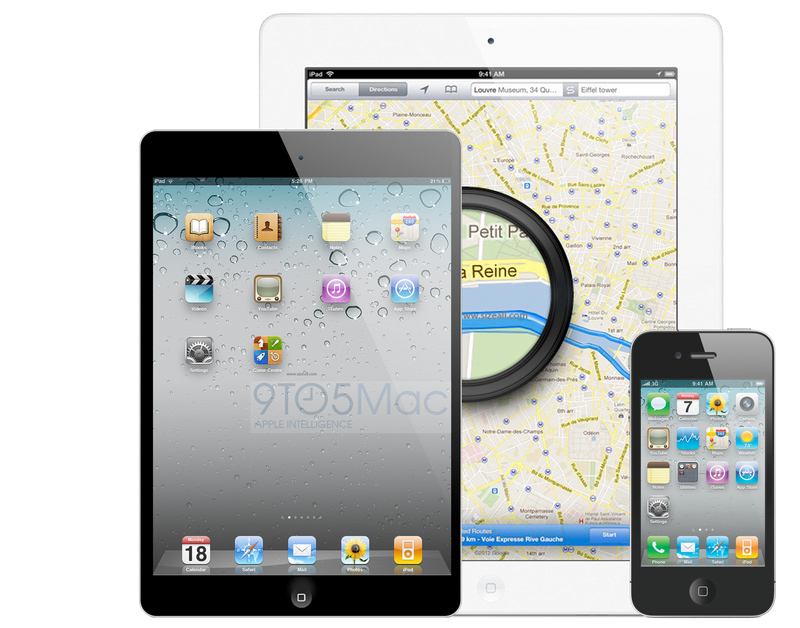 The latest rumors concerning Apple’s newest gadget, the iPad Mini tablet, is said that the new device will look and feel like the very popular iPod Touch, only larger, according to a report from the 9to5Mac blog. They cite unnamed sources, however, the report also claims the iPad Mini would have small bezels along the portrait side of the device, following two-volume buttons, instead of the tandem “rocker” found on the iPad. Speculation over the device, has it being announced sometime this October. With mock-ups of smaller cases being shown around different websites, this rumor is starting to sound like reality. Apple has shown no official interest in building a 7-inch tablet, however, consumers are quite interested in buying one. A survey suggest that over half the people would purchase an iPad mini if it were between $250-%350. Apple currently dominates the full-size tablet space with a global market share rising to nearly 70 percent in the second quarter of 2012. During the second quarter, Apple shipped 17 million iPad 2 and new iPad tablets, up 44.1 percent from 11.8 million the first quarter, marking a five-quarter high for the company’s tablet market share. Apple last accounted for such a large portion of the market in the first quarter of 2011, when it had a 70 percent share. Do you want an iPad Mini? ← Today Only… iPod Touch $140!